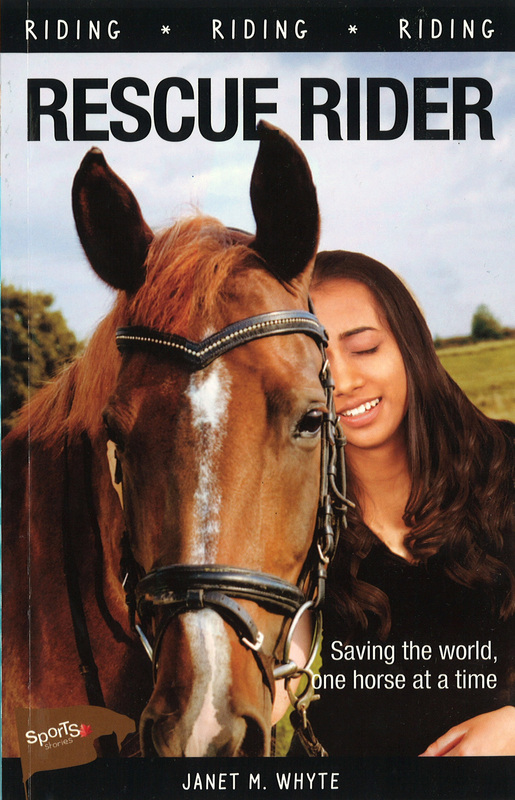 About MeI'm the author of four novels for young people - Shot in the Dark, Rescue Rider, Charlie, and Charlie on Tour - and a chapter book, Mr. Bert's Story Time. I + read more have also published three stories for children: The Great Wave, Illustrious, and My Space Pet, which appeared in chickaDEE magazine's 2013 space issue. I hold a BFA in Creative Writing, with concentrations in Short Fiction and Writing for Children, and a Diploma in Library & Information Technology with a specialization in Children's Services. 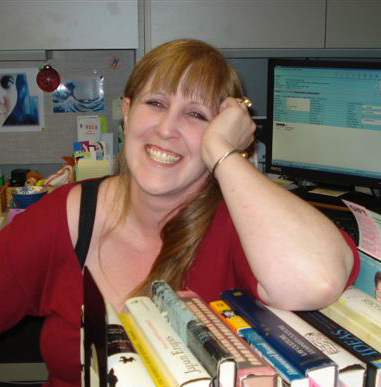 I'm currently a library technician at Langara College in Vancouver. 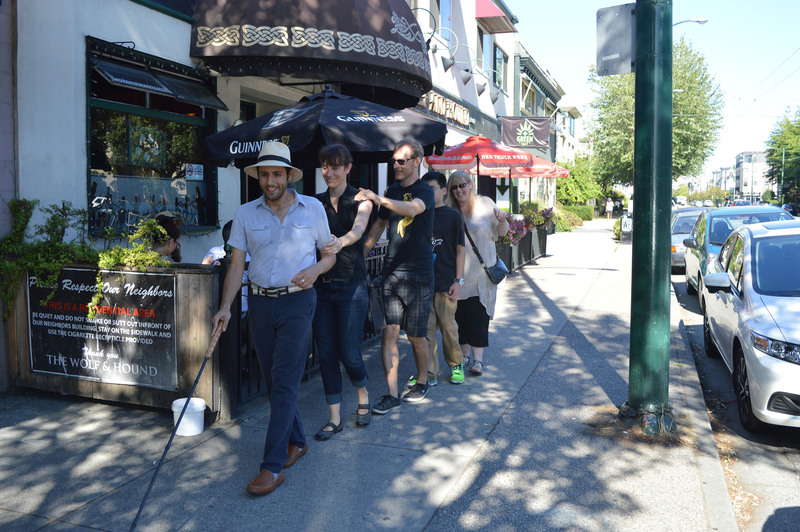 The above image shows Artist Carmen Papalia leading an Eyes-Closed Walking Tour through the Kitsilano area of Vancouver, and that's me at the end! 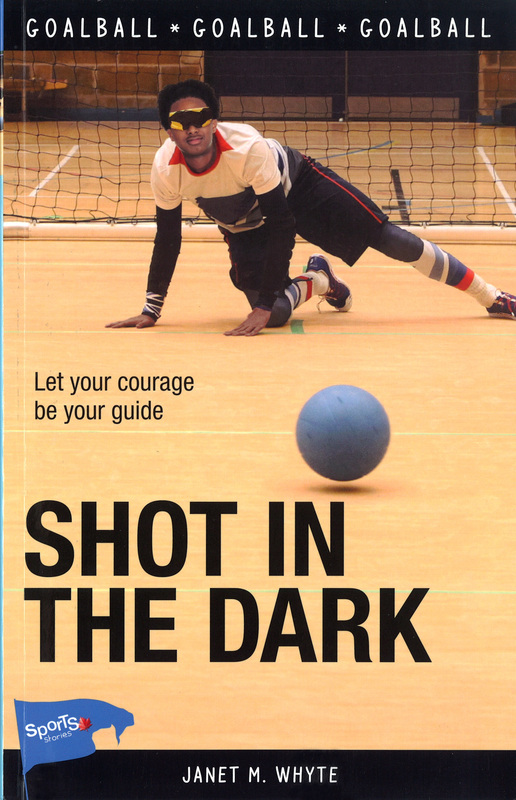 The tour was part of my book launch for Shot in the Dark - a sports story focused on the blind sport Goalball. Eyes-Closed Walking Tour photo (above) by Edzy Edzed. Profile photo (left) by Sandy Ragan. 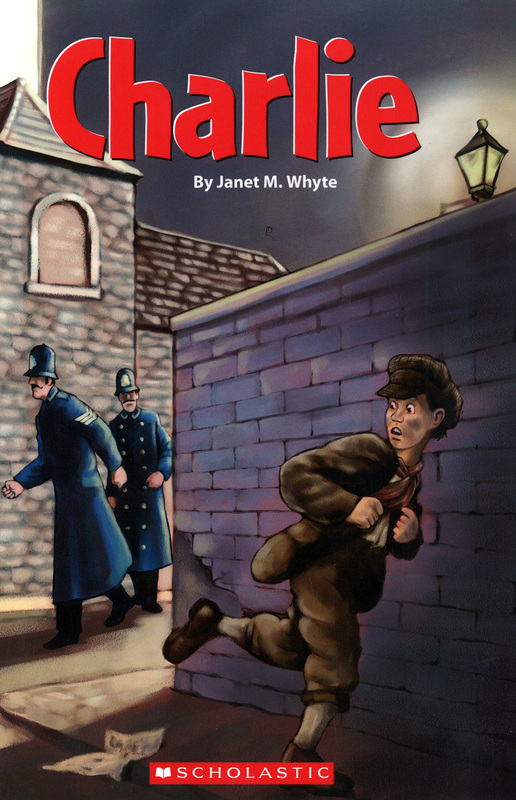 Speaking InformationI am available for interactive classroom or library visits that focus on Paralympic blind sports, Olympic equestrian sports, science fiction, supernatural + read more fiction, the writing life in general and, of course, Charlie Chaplin's early life. I love to read from my own work and/or classic children's books - old and new!